What are your New Year’s Resolutions? Exercise more? Eat healthier? Clean out your closet and donate old stuff? 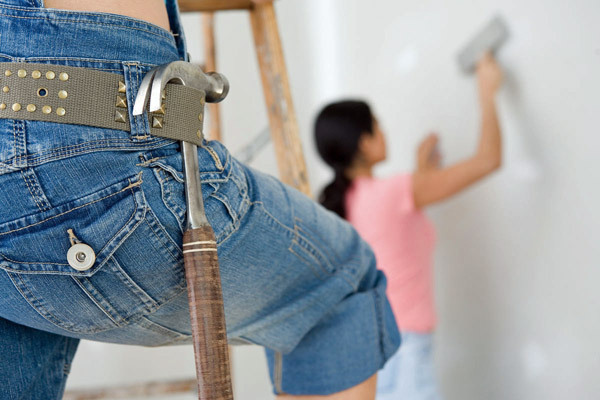 Regular home maintenance is good for you AND your property in the long run. It extends its “economic age”, a term meaning the number of years a house is expected to survive. It also ensures safety, prevents those little maintenance needs from turning into big costly repairs, and can even reduce energy consumption and save you money! And don’t forget, it’s important to keep your house value up as much as possible, in case you want or need to sell. Check the HVAC system and replace disposable filters or clean washable filters. Check the kind of filters you have, and make sure you’re changing or cleaning them on schedule. Inspect, clean, and test all smoke and carbon monoxide detectors. This month is a great time to replace the batteries, whether you need to or not. Don’t have either type of detector? Check with your fire department for proper placement, and install immediately! Install properly charged and working fire extinguishers around the home – especially the kitchen if you don’t have them already. Other key locations are the garage and near a gas water heater, fireplace, or wood stove. Gather the family and create a plan of action in case of fire. Assign everyone 2 exits and establish a meeting place outside to ensure everyone gets out. Then, do regular “fire drills” with your family. Check for leaks in forced-air heat duct joints and seal with duct tape. Look for indoor condensation and, if found, contact a qualified water restoration and mold specialist to investigate. Clear rain gutters of dirt and debris. Check your roof for loose tiles or shingles, and damage of any kind. If there are any home improvement or remodeling projects that you don’t feel you should tackle on your own, give us a call. We’re not just specialists in water, fire, and mold restoration services, we are also licensed and bonded contractors. We’ve helped hundreds of clients not only restore their home to its pre-damage condition, but we’ve helped them create the home they’ve always wanted by completing a remodel within their budget. It’s January! Doesn’t your Orange County home deserve a chance to look and feel its best this year?